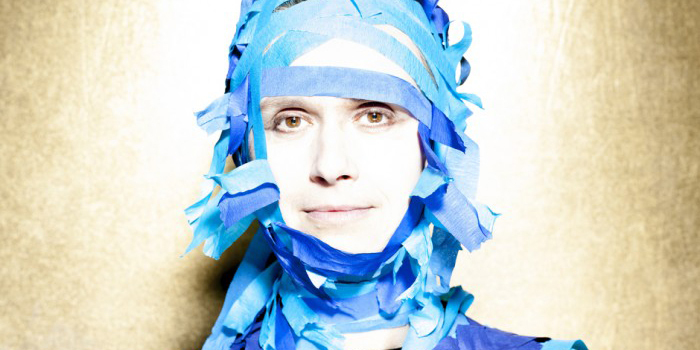 Having grown up surrounded by the creativity of the entertainment industry from acting to comedy to music, it is no wonder Juana Molina continues to bring innovative and imaginative music and performance to the stage at the age of 51. Starting her career in 1988 as a comedic television actress in Argentina catapulted her to fame within the spanish speaking world. However, despite her success in this arena she abandoned her post in 1996 to pursue music, and much to her dismay, she is still primarily recognized for her comedic roles rather than her musical talents in Argentina. Here in the United States, however, her ethnic flavorful melodies are welcomed with open arms. In addition to her varied background in the entertainment industry, she also combines several cultures and languages in her music. English, French and Spanish can be heard in her ambient, electro-folk sounds. Despite the language barrier with many of her fans, Molina believes that the lyrics are not a vital part of enjoying the music, as she simply writes them to complement the music, not to be the primary message of the song. She has received much praise throughout her music career, including her second album Segundo being named Best World Music Album in 2003 by Entertainment Weekly and third album Tres Cosas achieving a spot on the Top 10 Albums of 2004 by The New York Times. For the first time in 5 years Molina has released an album entitled Wed 21 and will be making several North American stops during her tour.